On October 30, 2017 UFOLou recorded an intense flash in the sky above Melbourne, Australia. The flash is quite strange, only lasts a millisecond and looks like a distant laser, but not originating from the ground. 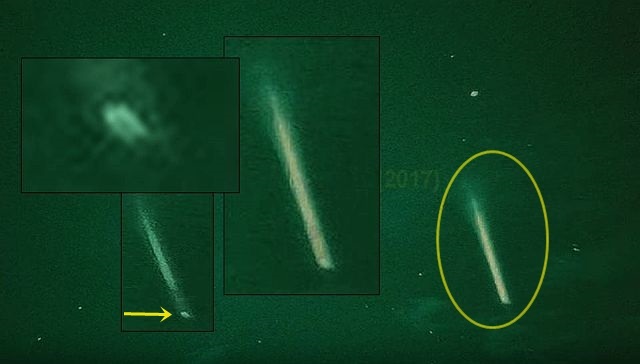 Although some people suggest that it is an atmospheric phenomenon like a fireball/meteor, you can see a rectangular-shaped object at the bottom of the flash. See image above. The flash/laser/light beam starts at 2.35 minutes in the video.